Opelika Ford and Opelika Chrysler takes pride in being a leading automotive dealership in the Opelika and Auburn, AL areas. Since we opened our dealership a few years ago, Opelika Ford Chrysler has been committed to serving drivers from all over Alabama and Georgia, including the Phenix City, Auburn, Salem, Cusseta, Dadeville, Fort Benning, and Columbus communities and the surrounding areas. Our dealership offers a large variety of new and used vehicles from Ford, Chrysler, Dodge, Jeep, Ram, and many other brands. We invite you to browse our giant online inventory before coming in to see us. We are here to make your car buying process fast, easy, and hassle-free, so let us know if there is anything at all our staff can do for you while you’re here or browsing online at home. 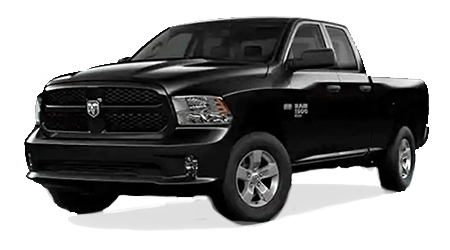 Our dealership in Opelika, AL, and if you are looking to get an auto loan for your new Chrysler, Ford, Jeep, Ram, or Dodge purchase – or for your used car purchase – talk to the financing experts in our Finance Department. We’ll help secure you an auto loan that fits perfectly within your budget. We can also provide financial assistance for shoppers with bad credit or no credit, or for first-time car buyers. Here at Opelika Ford Chrysler, we want to be your go-to dealership for all your automotive needs, so we provide top-notch auto service and genuine Ford and MOPAR parts at competitive prices. If you are in need of a simple oil or filter change, new tires, wheel balancing and alignment, or even major cosmetic repairs, bring your vehicle into our Certified Ford and Opelika Chrysler Dodge Jeep Ram Service Centers. We’ll keep your car in great condition or get it back into shape in our service departments, and will always meet your automotive service needs with a smile. Opelika Ford Chrysler Dodge Jeep Ram is committed to customer satisfaction and we are dedicated to providing you with total support for your automotive needs. Call us today or come out to 801 Columbus Parkway off of Exit 62 in Opelika, AL. We look forward to seeing you!